One of my most vivid memories of Halloween as a kid was what we called the Haunted House record. Each year as the season changed to fall and the days on the calendar passed. 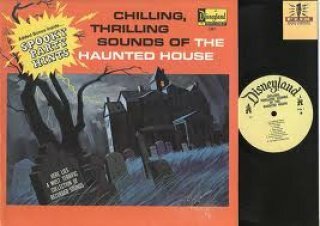 My brother and I would dig thru the stack of albums next to the Curtis Mathis TV, turn the lights out and play Disney’s “Sounds of the Haunted House” And we would scare ourselves crazy! Keep in mind this was before video games and high speed internet – for us it was 100% pure Imagination. Last week we were working at the Boneyard upgrading some digital sound cards and I was asked how we make the sound effects that are used in the Boneyard? Almost immediately I flashed back to the artwork on the old “Haunted House” record,, The next question that came to mind… What ever became of the album…? After work that day I literally raced home and started digging through my old record collection.. no luck. I found Beatles, Chicago, The Eagles and a Peaches and Herb single. Hey! Don’t judge me… it was the 70′s. But the old Disney record was no where to be found.. After a very strange look from my wife.. she calmly suggested “Look on Amazon” So. I did, it was! and guess what UPS delivered yesterday. Ha… I couldn’t believe it.. AND then the cold realization set in… I didn’t have a turn table. — Back to the garage and as luck would have it…Buried in the far back corner.. A Pioneer with a good needle. cause one isn’t good with out the other. Hooked it up to my Amplifier, recorded it onto my laptop… Problem solved. 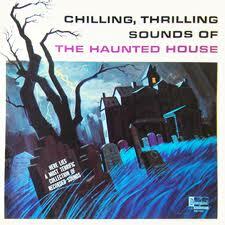 The full title of the album is “Chilling, Thrilling Sounds of the Haunted House”. The album is no longer in production, however you can still find them online. 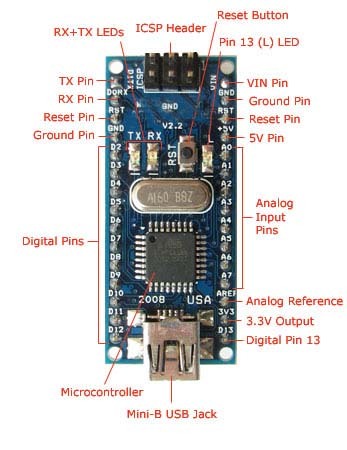 here is the link to it on Amazom. The LP was released in 1964, there were several different album covers over the next few years with some great artwork. The original release had 20 tracks – Side one was narrated by Laura Olsher. Side 2 contained individual sound effects. Many of those old tracks My Brother and I listened to were the inspiration of the early scenes in the Boneyard. 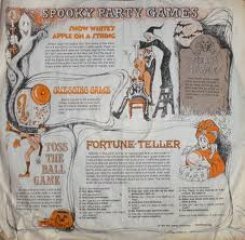 Some Disneyland history buffs claim the Haunted Mansion concept was created form the Paul Wenzel cover art of this album. 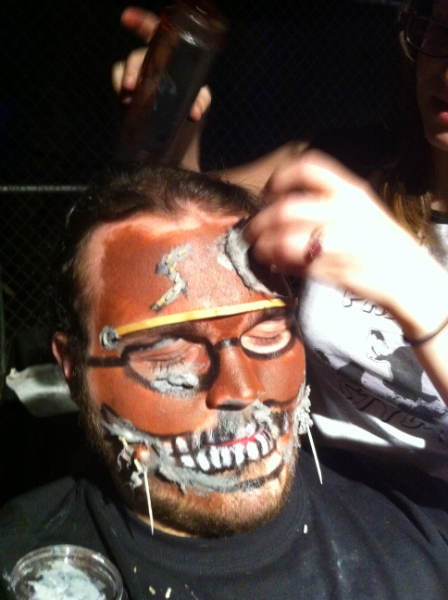 So …don’t be surprised this Halloween when you visit the Boneyard if you hear a few pops and clicks in the background as you wait to enter the Haunt. I feel a new project coming on. What a great story. thanks for uploading the sound traks that is some great stuff. Indeed Old School — Indeed Dude. Love the haunted house stories and Boneyard History — Keep it comming.